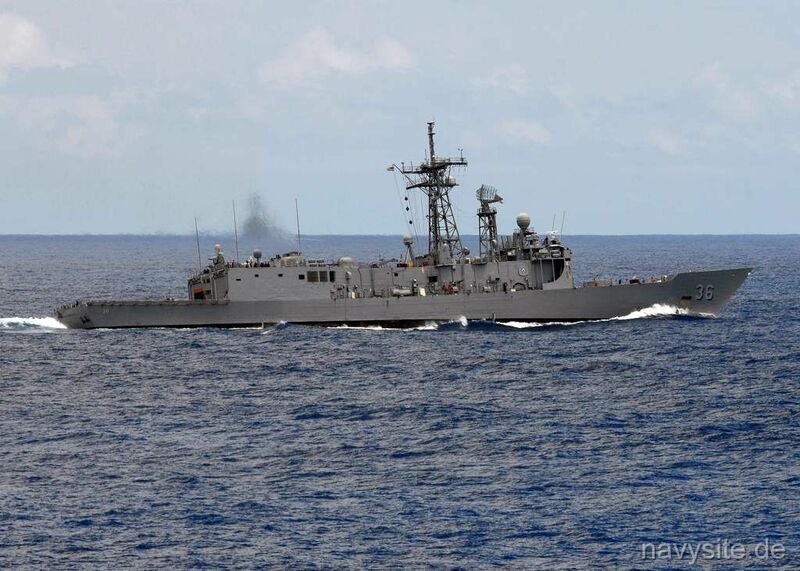 Last homeported in Mayport, Florida, USS UNDERWOOD was the twenty-ninth OLIVER HAZARD PERRY - class Guided Missile Frigate and the first in the third generation (Flight III) of the class. USS UNDERWOOD was the first ship in the Navy named after Captain Gordon Waite Underwood. This section contains the names of sailors who served aboard USS UNDERWOOD. 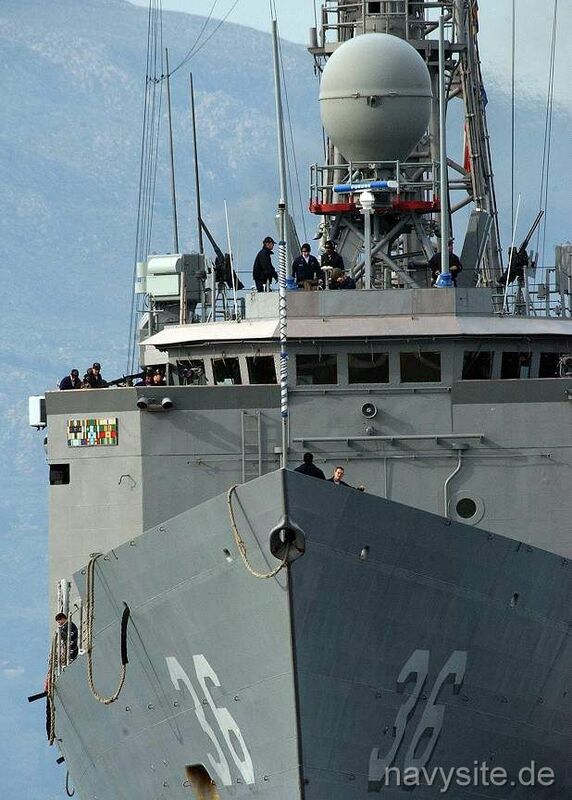 It is no official listing but contains the names of sailors who submitted their information. 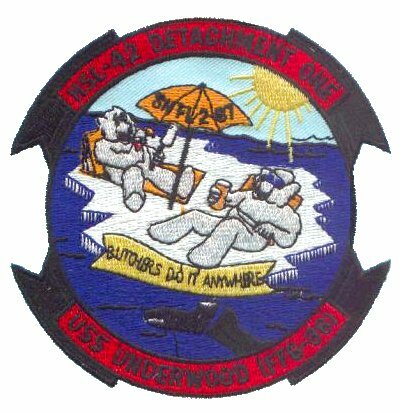 Click here to see which USS UNDERWOOD memorabilia are currently for sale on ebay. 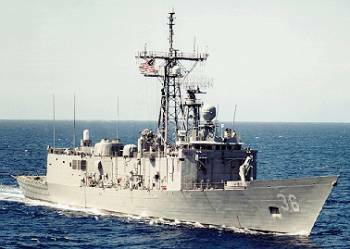 Commissioned January 1983, UNDERWOOD conducted her maiden deployment to the US Sixth Fleet in the Mediterranean Sea in 1985. UNDERWOOD also played a key role in the search and recovery effort following the Space Shuttle Challenger disaster in January 1986, and earned the Coast Guard Meritorious Unit Commendation. In 1986 again, UNDERWOOD was awarded the Battenburg Cup along with the Navy Meritorious Unit Commendation as "BEST SHIP IN THE ATLANTIC FLEET." 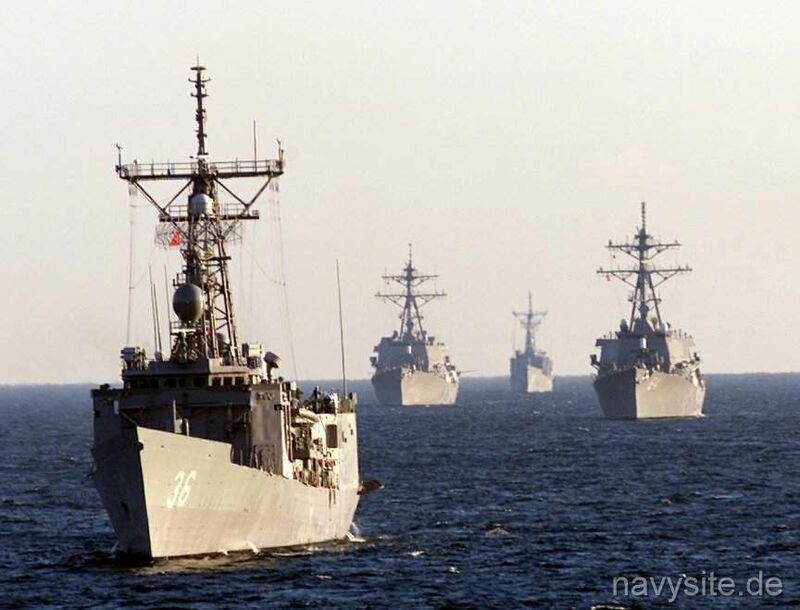 Additionally, for the ship's sustained superior performance and consistent readiness to "go in harm's way", UNDERWOOD was presented the Battle Efficiency Award for 1986, 1993, and 1995 competitive cycles. 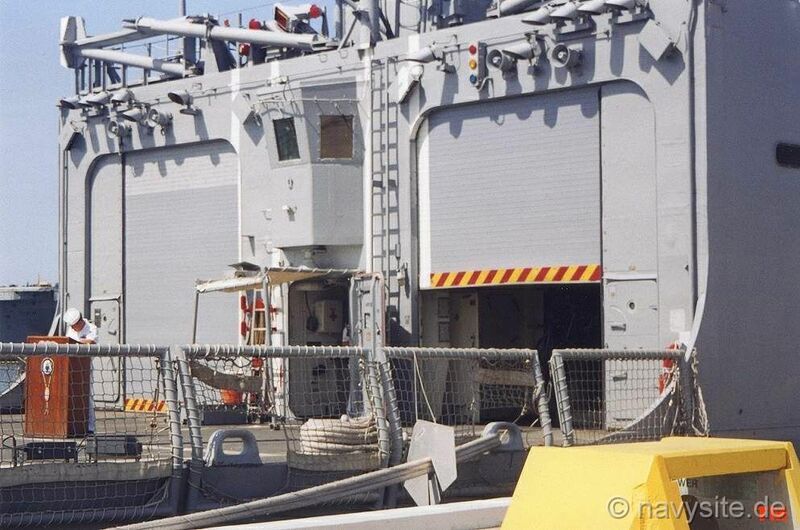 In July 1996, UNDERWOOD returned from a six-month deployment. 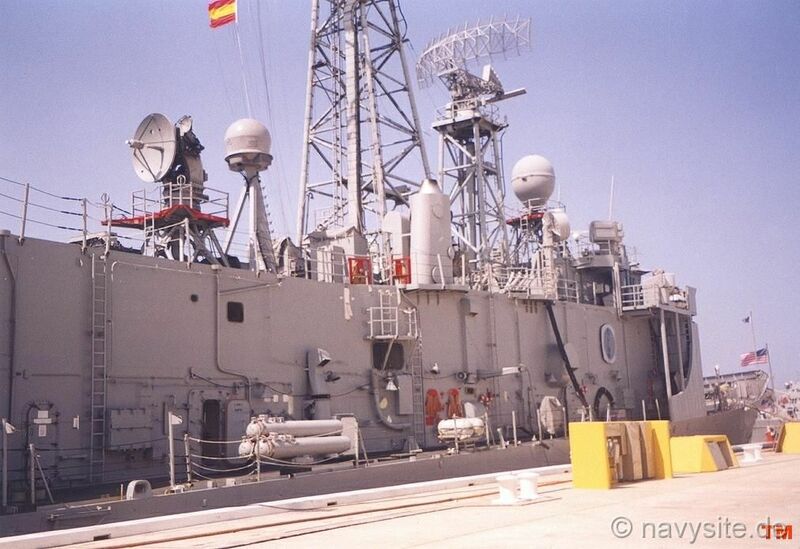 In March 1998, UNDERWOOD was part of Standing Naval Forces Mediterranean, a NATO task group consisting of warships from the United Kingdom, The Netherlands, Germany, Spain, Italy, Turkey, and Greece. 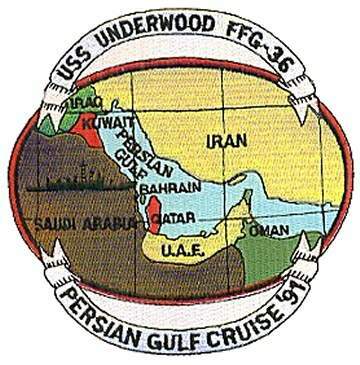 UNDERWOOD has participated in numerous Counter Narcotics Operations in the Caribbean Sea and several major six month deployments, including assignment to the Arabian Gulf as part of Operation Desert Storm. 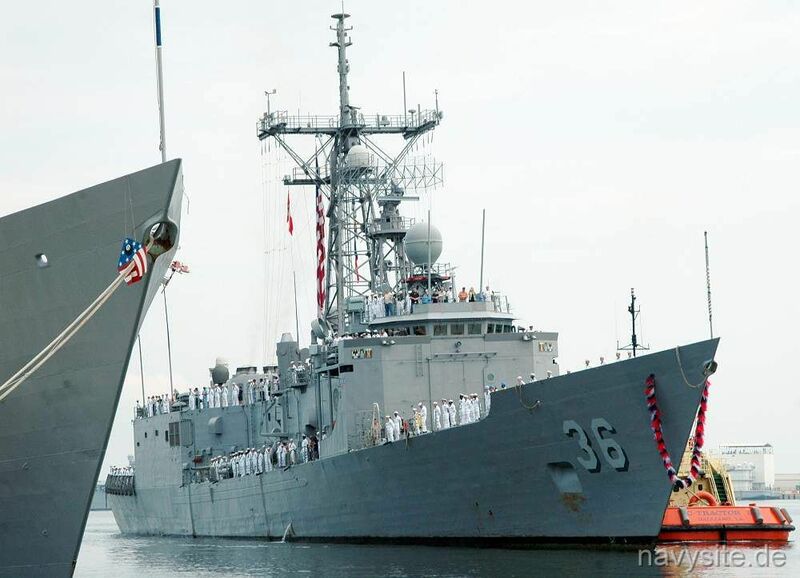 UNDERWOOD completed her eighth major overseas deployment in March 2000. 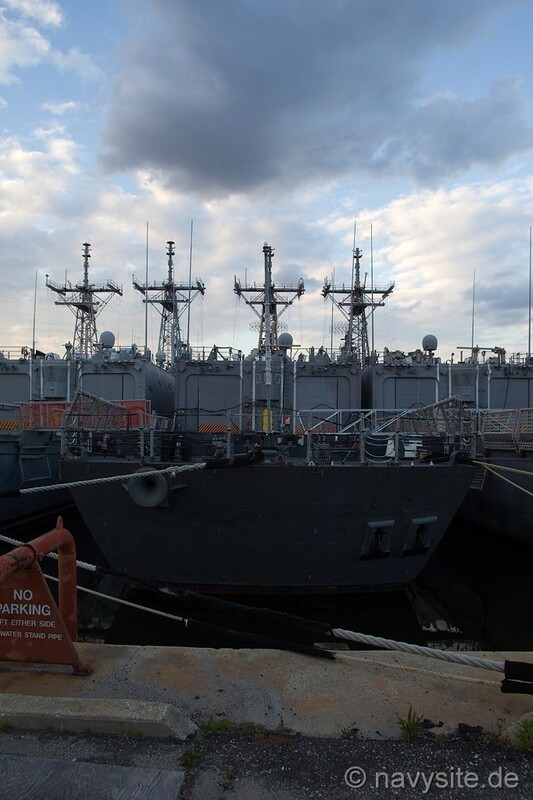 In February 2002, UNDERWOOD again got underway and deployed to the Arabian Sea in support Operation Enduring Freedom. 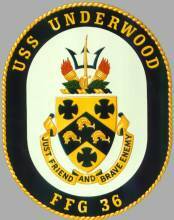 During the six-month deployment UNDERWOOD was assigned to the USS JOHN F. KENNEDY (CV 67) Battle Group. 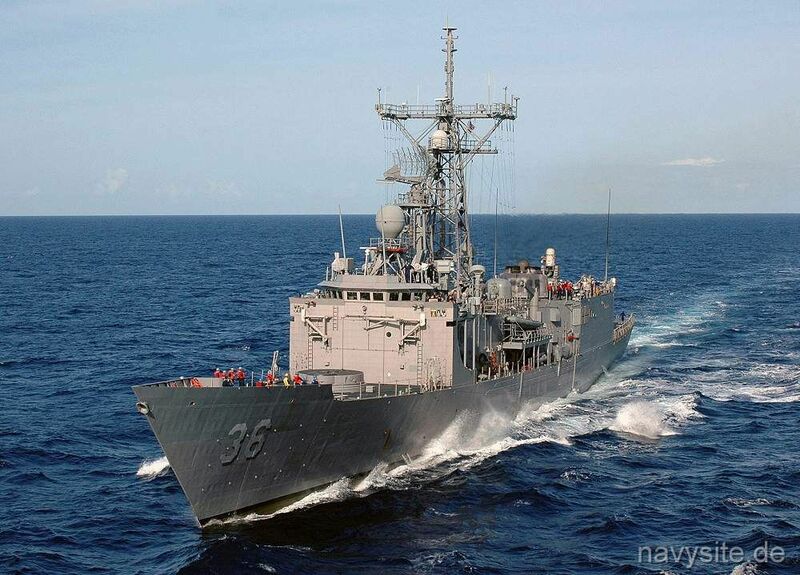 USS UNDERWOOD returned to Mayport on August 17, 2002. October 20, 1999 off Alexandria, Egypt While entering the port of Alexandria, Egypt, UNDERWOOD ran aground about 4 p.m. The ship remained aground for approximately five hours until tugs pulled it free. Both its commanding officer and executive officer were disciplined. Damage was estimated $548,000. Captain Gordon Waite Underwood was born in New York on 3 June 1910, and at an early age moved with his family to Portland, Oregon from where he was appointed to the US Naval Academy in the class of 1932. At the Naval Academy he proved to be an outstanding student and superb athlete. He earned letters and starred in football and track. He was awarded the coveted "Academy Sword" for athletic excellence. Following his graduation from the Academy, Captain Underwood served in USS OKLAHOMA. This tour was followed by training at the US Submarine School in New London, Connecticut. After his graduation he served in the Submarine School S-21, USS MISSISSIPPI, and USS VEGA. In 1941, he attended Massachusetts Institute of Technology and earned a Masters Degree in Marine Engineering. Upon his return to sea duty he was assigned to the Staff of Commander Submarine Squadron TEN as Squadron Engineer supporting submarines on war patrol. In January 1944, he was assigned as Commanding Officer of USS SPADEFISH (SS-411). On this ship during three war patrols he was credited with destruction of seventy-six thousand tons of enemy shipping including one aircraft carrier, the HIJMS SHINYO. For each of his war patrols he was awarded a Navy Cross and in recognition of the great successes of the first two patrols SPADEFISH was awarded the President Unit Citation. His record of success in his war patrols remains one of the most notable in the history of the US Navy Submarine Service. Captain Underwood, following his retirement from the Navy in 1962 after 30 years service with distinction, became associated with Spelin Inc., Mountain View California, in which he was Vice President. He was also Vice President of Filter-Aire Company of Hollister, California until his retirement. He died January 15, 1978 at the age of 67. Blue and gold are the colors traditionally associated with the Naval Service and represent the sea and excellence. The Chevron is a symbol of strength. 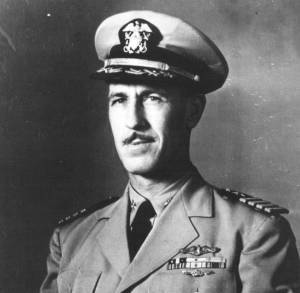 The dolphins honor Captain Underwood's three highly successful submarine combat patrols in the Pacific during World War II, for which he was awarded the Navy Cross each time. These are represented by the crosses embedded in the shield. The trident, torches and laurel are adapted from the Naval Academy emblem and are used to symbolize naval prowess, fire power, and excellence of capabilities. The sword refers to the highly coveted "Academy Sword" awarded to, then Midshipman Underwood, for athletic excellence during his years at the United States Naval Academy. Whensoever hostile aggressions . . . require a resort to war, we must meet our duty and convince the world that we are just friends and brave enemies. -Thomas Jefferson, Letter to Andrew Jackson, December 3, 1806. The photos below were taken by me and show the UNDERWOOD at Naval Station Mayport, Fla., on July 31, 2000. 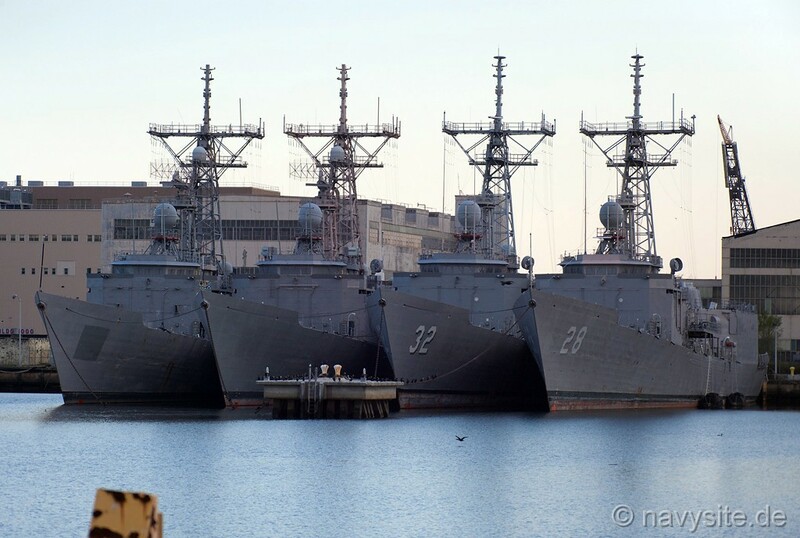 The photos below were taken by Michael Jenning and show the UNDERWOOD laid up among her sisterships at the former Philadelphia Naval Shipyard on October 21, 2014. UNDERWOOD is the second ship from the left and has her hullnumber painted over. 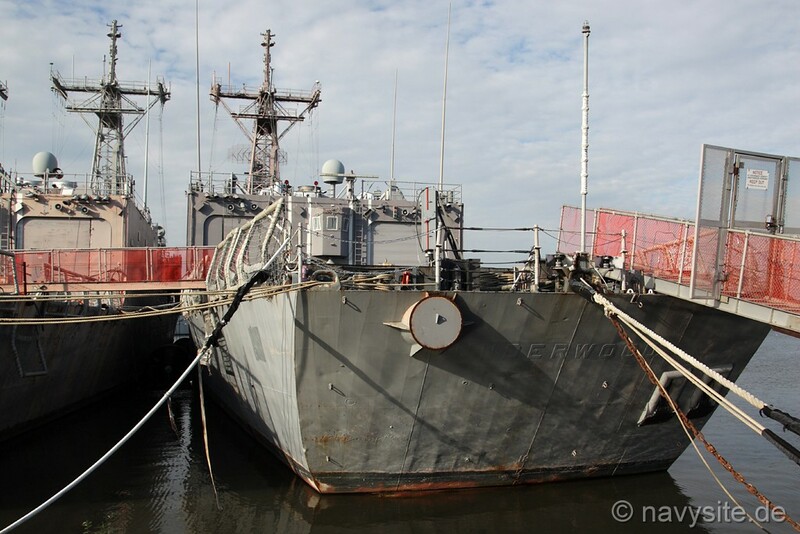 The photo below was taken by Michael Jenning and shows the UNDERWOOD laid up at the former Philadelphia Naval Shipyard on October 17, 2016.